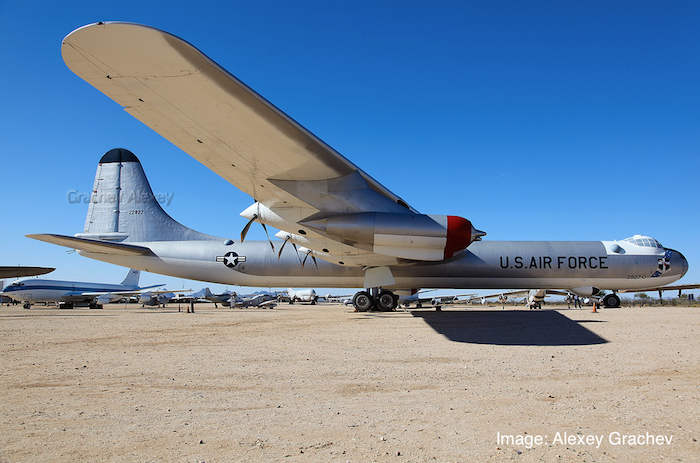 Convair B-36 is the largest and the last piston engine powered bomber in United States. 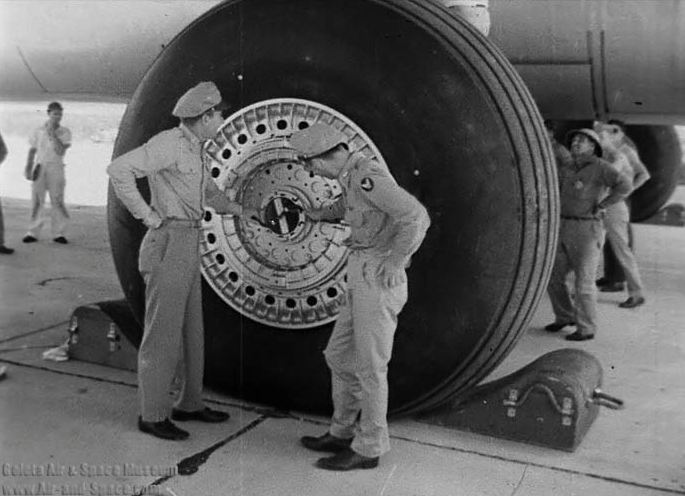 She has the largest wheel with 9 feet diameter weighing 1320 pounds. 383 aircraft were built between the years 1947 to 1954.